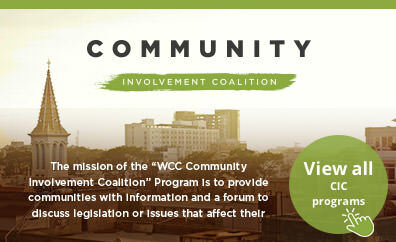 The mission of the “WCC-CIC” Program is to provide communities with information and a forum to discuss legislation or issues that effect their community. It is our belief that through the “WCC-CIC” Program, we will be able to provide fellowship and information to community members that allow them to become more informed citizens. 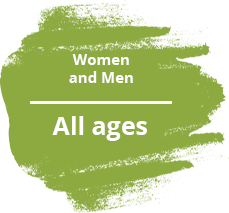 We believe that more informed citizens are better equipped to implement change in the communities around them. Locations will hold monthly Community Involvement Fellowships to address new legislation and current bills within their community about their focused issues. Locations will send out monthly newsletters to keep community members up to date on new developments and inform them on community initiatives that they can be involved in.